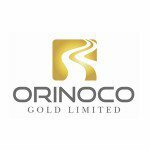 Orinoco Gold (ASX:OGX) is a Brazilian-focused gold company which is targeting first production from its flagship high-grade Cascavel Gold Project by early 2016. OGX is a speculative mining stock, and caution is advised if considering an investment. Gold is coming back. And our favourite $10 M market cap gold explorer just keeps going from strength to strength. OGX have churned out one positive market announcement after another – and to cap off a flurry of recent activity, OGX stunned the market with the purchase of Sertão – a fully permitted mine 28km from their project. Update on Orinoco Gold (OGX): Up 100% since we called it. It’s been about a month since we first wrote on Orinoco Gold (ASX:OGX) and the stock has performed extremely well, currently trading around 30c (around 100% above where we first called it).